This entry was posted on 15 April, 2010 at 10:52 am	and is filed under Staff training, Subject Support, Training. Tagged: conference, information literacy, librarians, lilac2010, teaching. You can follow any responses to this entry through the RSS 2.0 feed. You can leave a response, or trackback from your own site. 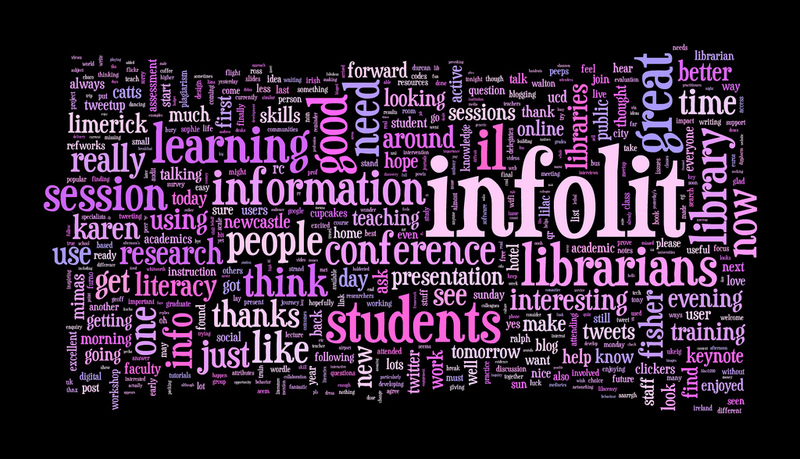 Hopefully the things you learnt at LILAC will be really helpful in our proposed review of information literacy. An interesting discussion on a subject near to my heart. At Bunker Hill Community College while I was there, we’d sit down with the professors near the start of the semester, and build an information literacy workshop around an assignment the professor chose. For instance, build the IL workshop around doing the research necessary to choose a research paper topic and present an initial argument and references to justify the topic. Because the IL workshop was designed in collaboration with the professors, and advanced the class work the students were doing, they were more willing to give us class time for it and make clear to the students that attendance was required.